Hong Kong offers an ever-changing panorama of sights, sounds and appealing Asian magic as well as some of the world’s best shopping. Hong Kong, China comprises an irregularly shaped peninsula abutting the Pearl River Delta to the west, and a number of offshore islands. The bulk of this area, namely the land in the north of the peninsula as well as most of the islands, is semi-rural and is known as the New Territories. The southern part of the peninsula, known as Kowloon, and the island immediately to the south, Hong Kong Island, are the principal urban areas of Hong Kong. Hong Kong travel, tours, vacations: Experience some of Hong Kong’s most unforgettable sights by air, sea and by land. Try a breathtaking helicopter ride from Admiralty where you will be treated to a bird’s-eye view of Kai Tak runway (the old airport in downtown Kowloon! ), the nearby Kowloon City and the Container Terminal which is the busiest in the world. The excitement continues as you reach the magnificent Tsing Ma Bridge – the world’s longest suspension bridge – and pass over the picturesque Lamma Straits. Intriguing views of Ocean Park, Happy Valley, Causeway Bay and Wan Chai are the perfect finale to the aerial tour. See the Aberdeen Typhoon Shelter, where a delectable Chinese lunch awaits you aboard the renowned Jumbo Floating Restaurant. After lunch, cruise around Hong Kong Island’s southern coast aboard Jumbo 1 and feast your eyes on the tranquil beauty of its beaches and secluded bays. When the boat pulls in at St. Stephen’s Beach, you’ll enjoy a guided shore excursion of the Stanley Peninsula. Combining history and recreation, its main attractions include the colonial charm of Murray House, the traditional Tin Hau Temple and Stanley Market, where bargain shopping is plentiful. And don’t forget the relaxing beachside promenade. Hong Kong by Night. The City of Life never sleeps. Hong Kong, an energetic city at all hours, is the perfect place to experience an evening tour. Experience the very best of nightlife with a romantic harbor cruise, a magnificent view of the glittering city or a feast at one of Hong Kong’s notable seafood destinations. Whether you’re after a leisurely evening’s entertainment in a cozy revolving restaurant on top of one of the tallest buildings in Hong Kong or set to hit the town, you’ll be able to find a tour to satisfy your every desire. Honk Kong by cruise The City of Life is the perfect place to witness one of the world’s busiest and most impressive natural harbors, Victoria Harbor. Hong Kong’s striking coastline, and the countless container vessels, junks, sampans and pleasure craft gliding around the harbor afford an exciting view. The spectacular backdrop of Hong Kong Island’s stunning skyline will fire your imagination as darkness falls and the city’s dazzling neon city-scape emerges. 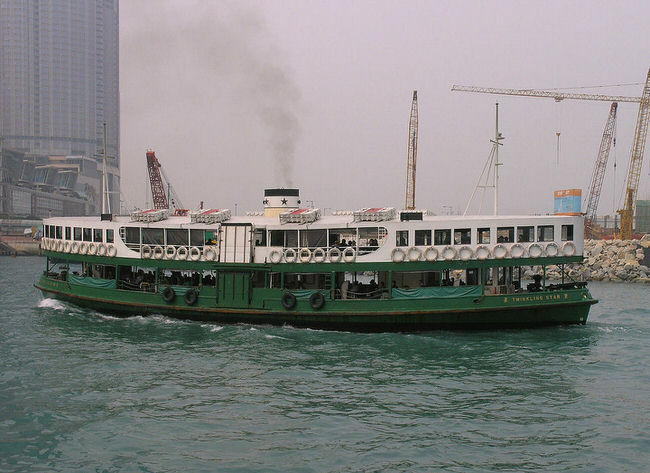 Cruises set sail from piers on either side of Victoria Harbor, usually at Central District’s Queen’s Pier (near the Star Ferry Concourse) and Tsim Sha Tsui’s Kowloon Public Pier (adjacent to the Clock Tower). 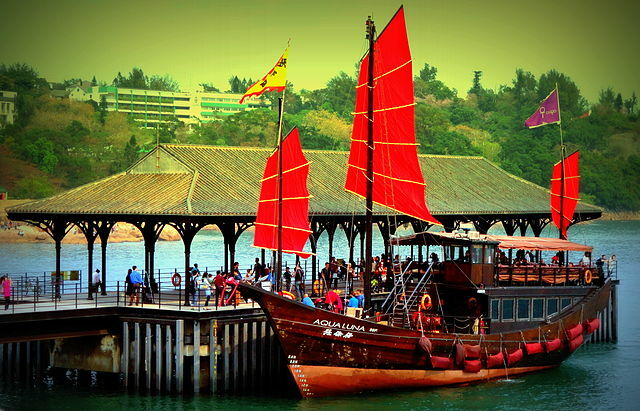 Cruising by Chinese Junk (Private Charter) Hire an authentic Chinese-style private junk for a cruise around Hong Kong’s scenic eastern outlying islands. This tour gives you complete freedom to create your own itinerary and visit the islands of your choice. Take advantage of Hong Kong’s prime location among unique and diverse neighboring cities in the Pearl River Delta of China. Whisk off to the Mediterranean enclave of Macau, famous for its historical monuments, glamorous casinos and exquisite Portuguese/Chinese cuisine. See everything from a local free trading market to theme parks to museums in the bustling Special Economic Zone of Shenzhen. Or capture a bit of Chinese history in Guangzhou by visiting the Dr Sun Yat-sen Memorial Hall and the Chen Clan’s Ancestral Hall. With convenient and comfortable means of transportation such as trains and ferries, an enriching experience is never far away! Visas are required for all foreigners entering mainland China. We have fun tours to HONG KONG ISLAND: Victoria Peak: Take a classic Hong Kong trip on the historic Peak Tram to the top of Victoria Peak. The steepest funicular tramway on the planet, the Peak Tram will thrill you with its dazzling 1300-foot climb into the sky. After an exhilarating near-vertical, eight-minute ride on the 112-year-old tram, you’ll feast your eyes on the breathtaking panorama of the vibrant harbor, serene mountains and spectacular architecture by icons such as I.M. Pei and Norman Foster. High above the city, on the “back of the Dragon,” Victoria Peak offers visitors a multitude of entertainment, dining and shopping options and is the perfect place to embark on one of several nature trails. Star Ferry: View Hong Kong’s magnificent skyline from the harbor aboard the Star Ferry . The Star Ferry, over a century old, remains the most spectacular ferry rides in the world. The ferry between Central and Tsim Sha Tsui takes only eight minutes, and offers picturesque memories that will last a lifetime. Don’t forget to pick up a Star Ferry and Tram Pass. A four-day Visitor Souvenir Ticket can be obtained at the upper deck entrance of the Star Ferry Pier, and is valid for unlimited travel on Hong Kong Tramways and Star Ferry’s franchised services for four consecutive days. Aberdeen: Home to the fishing community, take a sampan ride to see the fishing boat and daily activities aboard the famous Jumbo Floating Restaurant. Tai Chi in the Park: Take one of our free Tai Chi lessons and experience the graceful, meditative martial art that locals practice daily. A gentle form of exercise, Tai Chi, also known as “shadow boxing,” can be practiced by people of all ages. 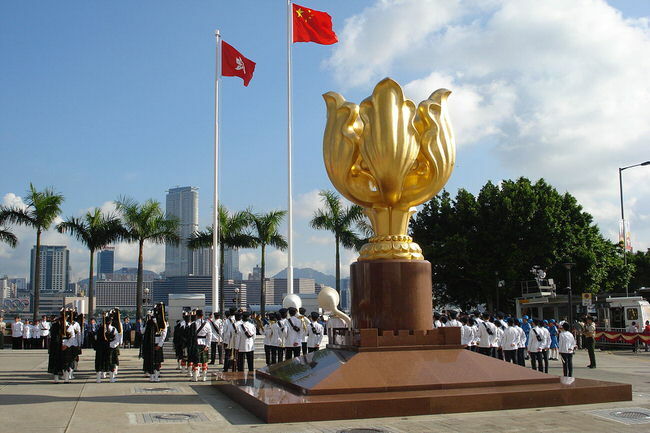 Kowloon: Every Tuesday and Wednesday (from November 2000 to March 2001), 8:00-9:00 a.m. on the Waterfront Promenade, Tsim Sha Tsui East (outside the Hong Kong Cultural Center, Piazza C). Hong Kong Island: Every Tuesday, Friday and Sunday in the Garden Plaza, Hong Kong Park. 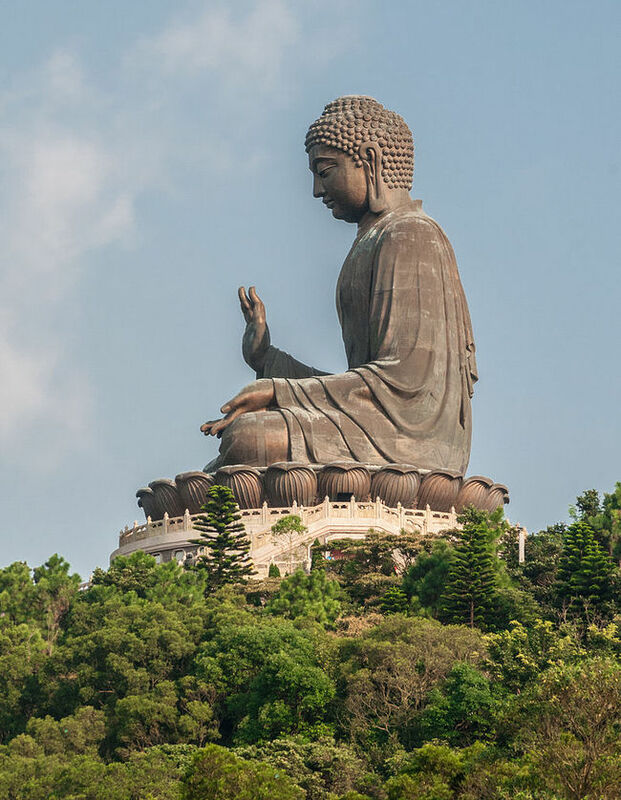 Repulse Bay: One of Hong Kong’s most popular tour destinations, Repulse Bay is beautiful, ever-evolving, sandy beach with two tall statues of the Goddess of Mercy (Kwun Yum) and the Goddess of Heaven (Tin Hau). Stanley Market: Stanley Market is an extravaganza of stalls and shops interspersed with some of Hong Kong’s newest and most innovative restaurants. The stock changes constantly – depending on what the factories are churning out at the time. 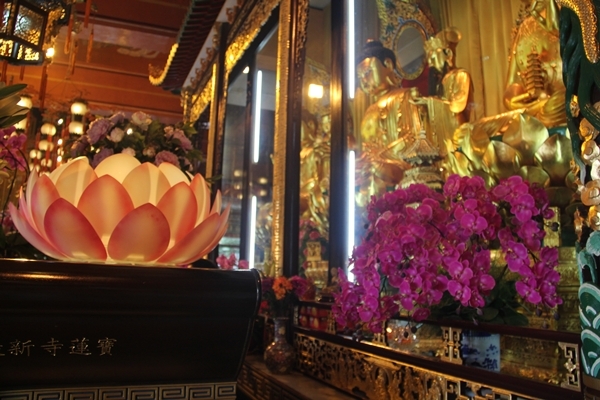 Tin Hau Temple: Tin Hau, the Goddess of the Sea, holds a special place in Hong Kong’s heart, thanks to the territory’s maritime history. This ancient, imposing temple once stood alongside a foreshore causeway linking the coastal areas. It is now well inland, adjacent to Victoria Park. KOWLOON: Chi Lin Nunnery in Kowloon is a fascinating blend of simplicity and grandeur. A Buddhist retreat, it was constructed along Tang dynasty lines, and successfully bridges nearly 1,500 years of construction methods, such as using wooden pegs, rather than nails, throughout its seven linked halls and temples. The nunnery gardens are a beautiful example of classical Chinese design, creating the illusion of infinite space within a limited area, and offering visitors a serene environment. Temple Street Night Market: Find bargains galore in this lively open-air bazaar.It opens at 2 p.m. and is busiest from 7 p.m. to 9 p.m. Merchants specialize in inexpensive men’s clothing, novelty items, luggage and watches, and other merchandise. Fortunetellers, palm readers and, sometimes, Chinese opera singers, make the market a fascinating street theater. New Territories Venture out to the New Territories to see unspoiled land dotted with ancient villages and fishing harbors, duck farms and fish ponds, all characterized by a sense of harmony with nature. Scenic coastlines and hills have been preserved within a territory-wide network of national parks. Enchanted Wishing Tree: Make your wishes come true. In Lam Tusen, near Tai Po, is the Enchanted Wishing Tree. Laden with wishes written on bright red paper, it appears to be covered in crimson flowers. Scribble your dreams onto red slips of paper tied onto an orange with string, then toss them in the air. Tradition holds that if your paper charm catches on the tree, your wish will be granted. OUTLYING ISLANDS: Giant Bronze Buddha Be sure to visit Po Lin Monastery’s outdoor, 202-ton Giant Buddha. At 26 meters high, it is the world’s largest, seated, outdoor, bronze of Buddha. Perched atop a magnificent flight of steps, it is visible from as far away as Macau on a clear day. 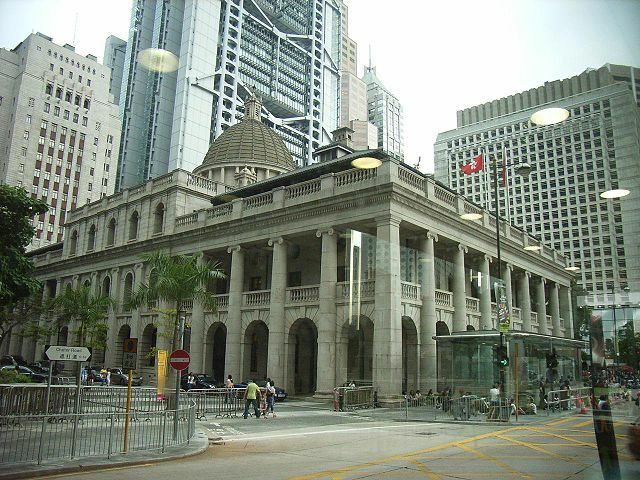 Heritage & Architecture Walks: Hong Kong Island , Kowloon & New Territories . Explore Hong Kong’s many historic and modern landmarks at your own pace with the help of a practical walking guide and portable audio equipment; available for rent daily from 8:00a.m.to 6:00p.m. Traditional Festivals: Major Festivals occur nearly every month, so there’s a good chance that you’ll be able to see one during your visit. Hong Kong celebrates its holidays with a passion, and being here during a major Chinese festival is the experience of a lifetime. City by Boot: To really get to know the City Of Life, you’ve got to get out and walk around and experience what life is all about. The city is full of unexpected sights and sounds that are best explored on foot at your own pace. Cheung Chau Island Walk: An island without vehicles and cars. See fishing villages, and old temple, beaches and a seafood market. It is also nicknamed the Olympic Island, as it is the home of Hong Kong’s first Olympic Gold Medalist in windsurfing. Surprising Stanley Walk: Explore the colonial charm of the Murray House, an old Police Station, the traditional Tin Hau Temple and the bustling Stanley Market. The beach-side town has unique eastern and western traits in its various attractions. Up, Down and All Around by Mid Level Escalator: This self-guided walking tour along sometimes cobbled streets allows visitors a glimpse into daily life in Hong Kong. Explore Cochran Street’s noodle shops and egg carts, Hollywood Road’s antique and curio shops and SoHo’s trendy restaurants. 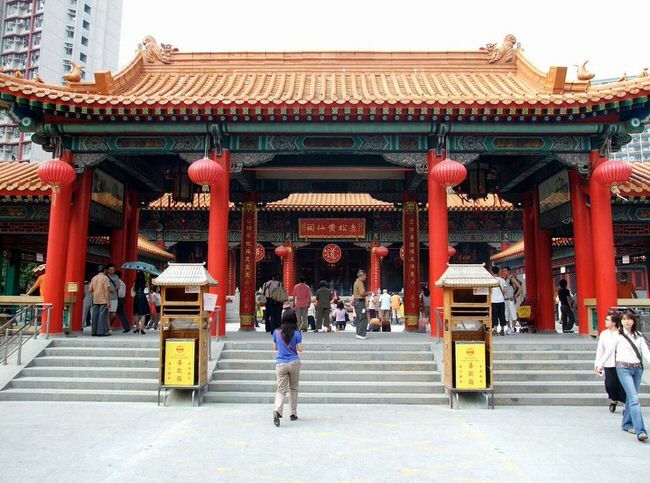 The tour also passes the Central Police Station, a vision of colonial-style architecture, the Man Mo Temple and the Gage and Graham Streets’ street markets. Call 1 415 827 4981 for the trip of your lifetime! Virtuoso Travel Advisors.